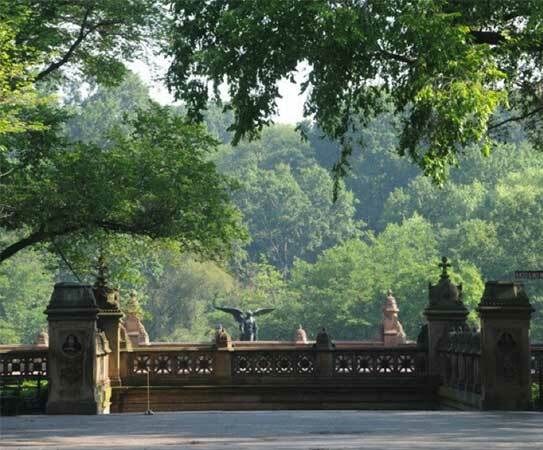 This week, we honor Central Park’s lesser-known (but no less visionary!) 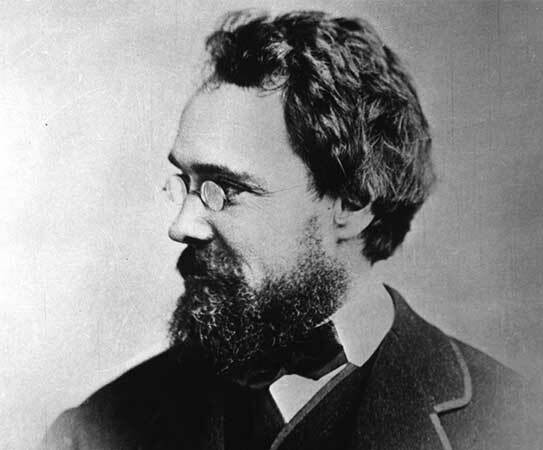 co-designer, Calvert Vaux. Vaux (rhymes with “Fox”) was the British architect who worked with Frederick Law Olmsted to create the design for Central Park. Although his name lacks the popular recognition of Olmsted’s, Vaux’s legacy is alive and well throughout the Park. Olmsted and Vaux created the Greensward plan, the 33rd and winning submission in a contest to design the land set aside by the City to become Central Park. The plan was called “Greensward” for the designers’ preferred landscape of seemingly limitless lawns and lakes, but dotting these green expanses were architectural structures, primarily designed by Vaux, including Belvedere Castle, 39 arches and bridges, and more than 100 rustic structures. Vaux’s architectural features were designed to be subordinate to the surrounding landscape – it is in these structures where his legacy can be truly appreciated. So where can you best witness Vaux’s influence on the Park? His masterpiece and the architectural heart of the Park: Bethesda Terrace. Bethesda Terrace, Central Park’s most famous formal landscape, is a masterpiece of 19th-century architecture and sculpture. Its two-story arcade overlooks the calm, rowboat-dotted waters of the Lake and farther in the distance, the Ramble. Considered by Vaux to be the most important architectural achievement of his distinguished career, Bethesda Terrace can be viewed as a secular, outdoor cathedral, rich with complex iconography, unprecedented in any contemporary work of public art. Vaux was intimately involved with the creation of Bethesda Terrace, but it was his close collaborator, the English-born architect and designer Jacob Wrey Mould, who committed Vaux's dream to paper. Mould’s intricate sculptural program of the Terrace was driven by the cosmology of the 19th century, and yet many of its themes remain timeless: nature, art, science, and love. The elaborately-carved piers at the southern entrance from the Mall represent Time, featuring the Rooster of Day (to the east) and the Owl and Bat of Night (to the west). 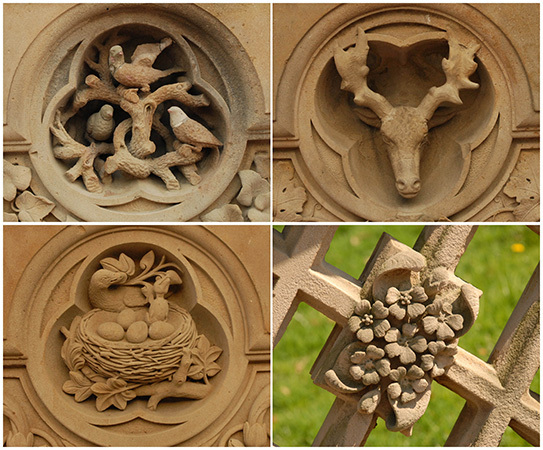 Carvings along the ramps, balustrades, and piers leading down to the main plaza represent the four seasons, depicting exquisitely rendered fruit, flowers, plants, and birds. Originally, the Terrace was meant to include sculptures representing the four seasons, the ages of man, nature, science, and art, but they were never built. Below the Terrace is the softly lit arcade – a colorful, atmospheric space unlike anywhere else in the Park. Not fully indoors or outdoors, the arcade was conceived as an open-air reception hall that would provide visitors with shelter from rain and heat. Its highlight is the magnificent Minton tile ceiling, which the Conservancy restored in the 1980s. Minton tiles were used as floor coverings in the mid-19th century, making the arcade the only instance in the world of Minton tiles on a ceiling! Finally, in the open air of the main plaza is what Vaux referred to as the “center of the center.” It is (thanks to the many films and TV shows it appears in) one of the most recognizable locations in Central Park and New York City: Bethesda Fountain. An 8-foot-tall bronze angel atop the fountain greets visitors. This is the Angel of the Waters, created by Emma Stebbins, the first woman commissioned to do a public sculpture in New York City. [It] should suggest both earnestly and playfully the idea of that central spirit of ‘Love’ that is forever active, and forever bringing nature, science, art, summer and winter, youth and age, day and night, into harmonious accord. The fountain itself references a passage in the Gospel of John, which describes an angel that blesses the Pool of Bethesda with healing powers. 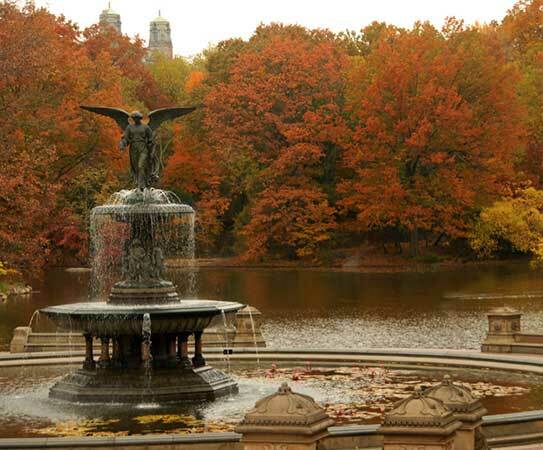 The Bethesda Fountain commemorates the 1842 opening of the Croton Aqueduct, which brought clean water to New York City – the lily in the angel’s left hand, symbolizes the water’s purity. Visiting this magnetic site, never without an awe-struck crowd regardless of the season, confirms that it is the Park’s social and spiritual core. 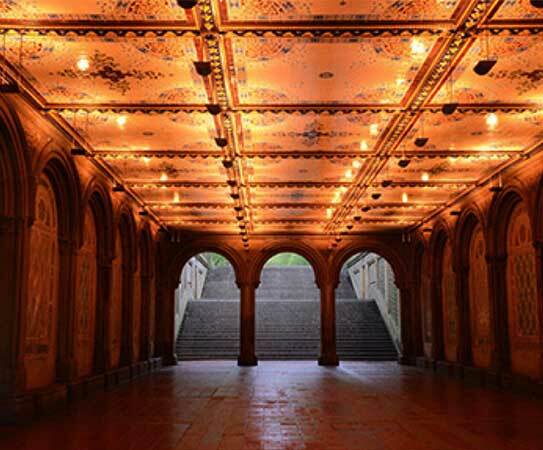 Crafting the ideal experience of Bethesda Terrace and the Park as a whole was an endeavor incredibly dear to Vaux, who strove tirelessly to create innovative architecture which would prove "to be a genuine American invention." 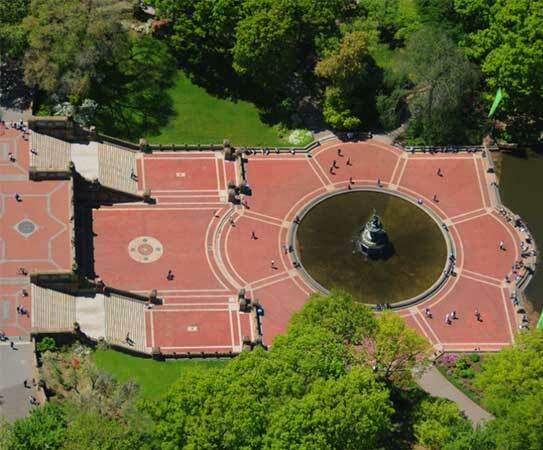 Thanks to Vaux’s vision for Central Park, Bethesda Terrace lives on as an iconic New York City public space, magical in its magnetism, and unrivaled in the ambition of its vision.